Design Inc are specialists in aviation and helicopter marketing. 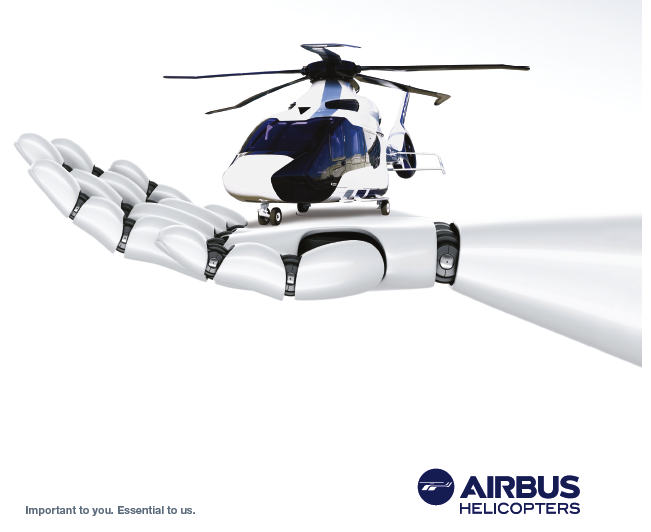 We have recently updated the ‘innovation’ advert in our ‘Think’ campaign series to feature the newly named H160 – the first of the H-Generation – for Airbus Helicopters to use to support their presence at the major London Show and highlight in the helicopter marketing calendar. 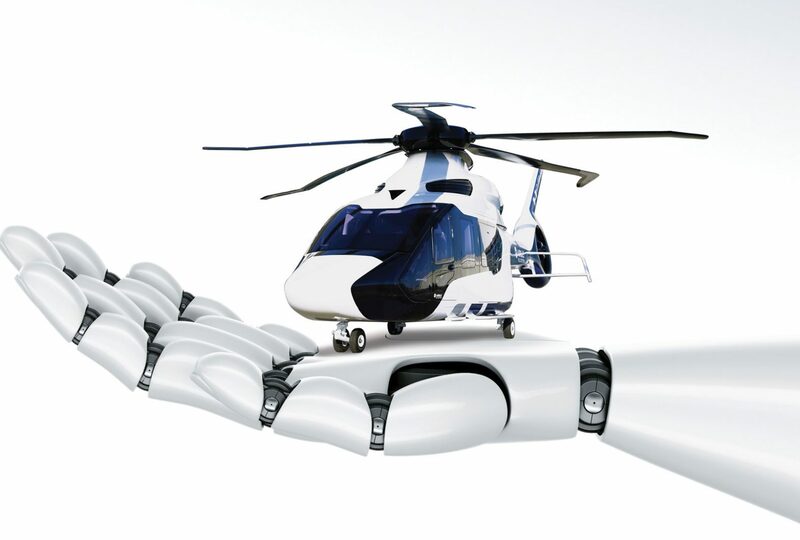 The helicopter landing on the robot hand was part of the original pitch-winning campaign series of Innovation, Service and Five Missions (Business, Oil &Gas, Military, Search & Rescue and National Resilience) presented to Eurocopter (as the company was then called). Five years later and surviving two major rebranding exercises (both of which brought about only a subtle template change) the campaign is still as unique in the sector as the day we first pitched it. Delivering cut-through and a memorable & strongly differentiated campaign. Animated adverts have complemented the helicopter marketing print campaigns. Click here to view. Work is in progress to take the concept across into the corporate literature, demonstrating that there is still a lot of life and potential in the concept. Helitech International is the largest helicopter marketing exhibition in Europe dedicated to helicopter products, parts, accessories and services. The show brings together leading manufacturers, suppliers, operators, buyers and engineers in the industry. Taking place at ExCeL, London from 6-8 October, Helitech International 2015 is the must-attend event of the year. Register now for free entry to visit the show. To view our aviation marketing portfolio please click here. To view our Eurocopter case study on helicopter marketing please click here.